It’s hard to believe almost six months have past since that first test flight. It is truly amazing to fly this plane. It is the nicest plane I have ever flown! Ok, maybe I am a little partial, but I do enjoy it! I have flown16 hrs in the past 14 flights. 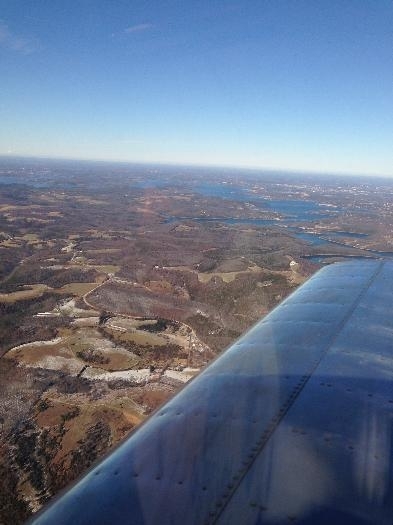 The pictures below are from my first couple cross country flights. 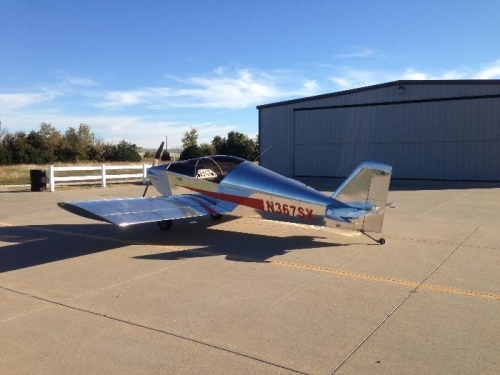 The first picture is where I landed at Neosho, Mo and stopped by a friend’s hangar. The other two pictures are when I was near Harrison, AR and Table Rock Lake. I have had a few things that I have had to make changes too since the first flight. The best improvement was a new prop from Prince. This has made a great improvement in my top engine RPM and climb performance. Here is a list of the other improvements. Oil cooler air inlet cover plates with smaller openings for cool days, oil strainer modification for the oil breather, new brake cable, sun shades for the canopy, and changed the way the oil/air separator was installed. 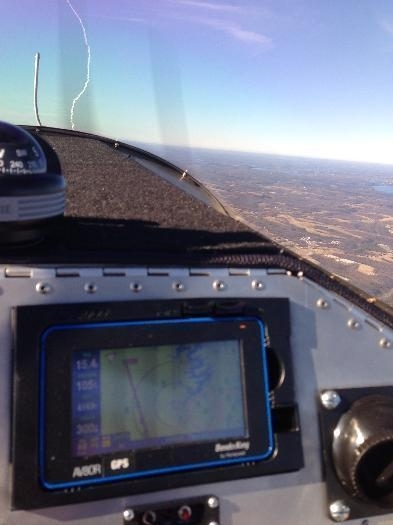 I have not made any adjustment to the Aerocarb or engine timing since the first flight. I just lean out 1/2 inch on take off. I have averaged 3 1/2 gallons per hour, cruise about 120mph and climb at 800fpm.